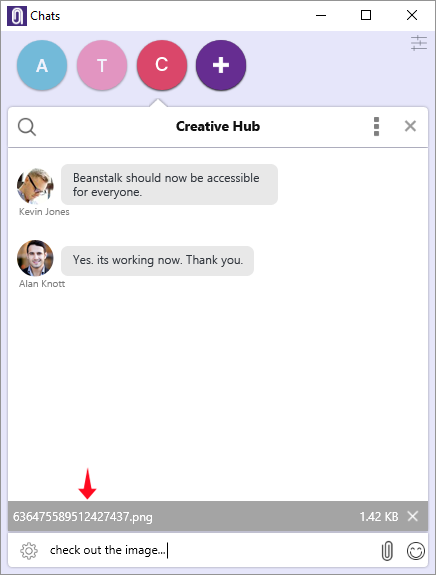 We are pleased to announce the release of Office Chat 2.8 for all platforms. This release includes the following cool enhancements & improvements and goes live between Dec 6th & Dec 9th, 2017. 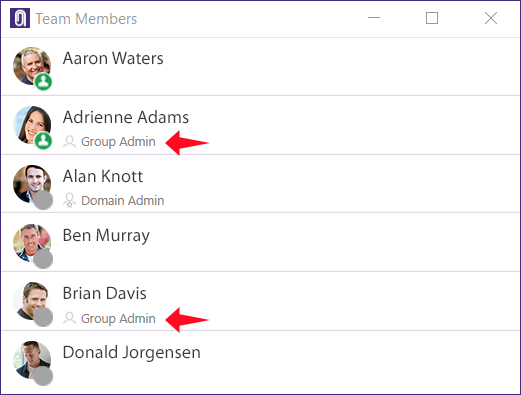 Support For Multiple Group Admins: Group or domain admins can now make any member of the group – a group admin. 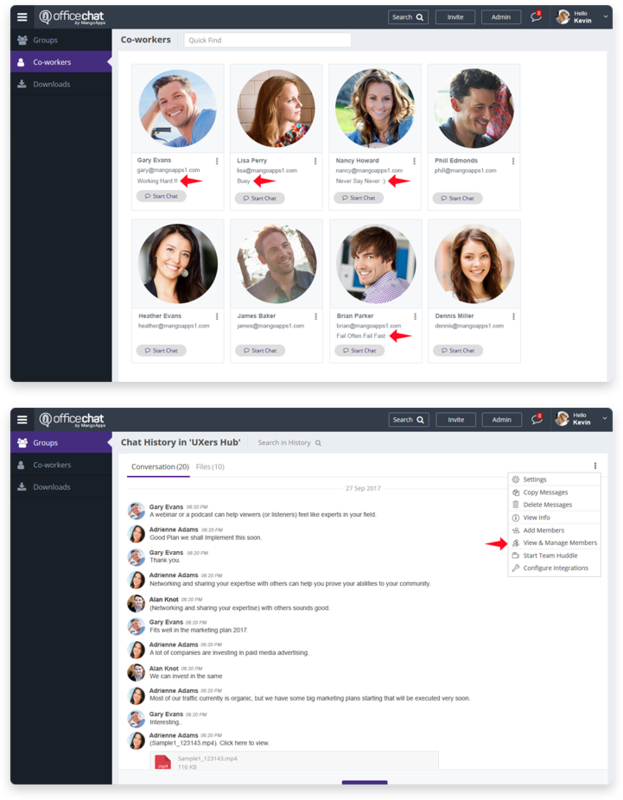 This enhancement now enables a group to have multiple group admins. 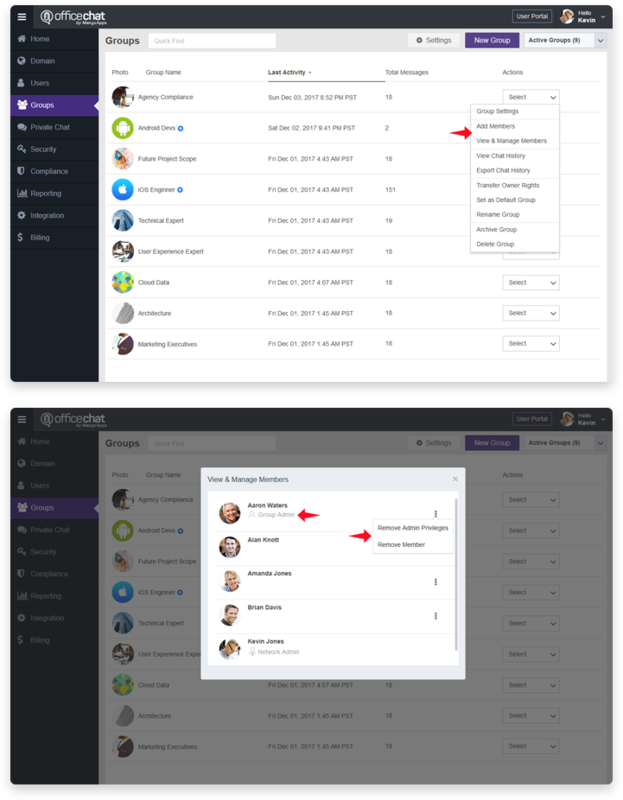 A group admin can also remove admin privileges from a group member as long as at-least 1 member remains a group admin. 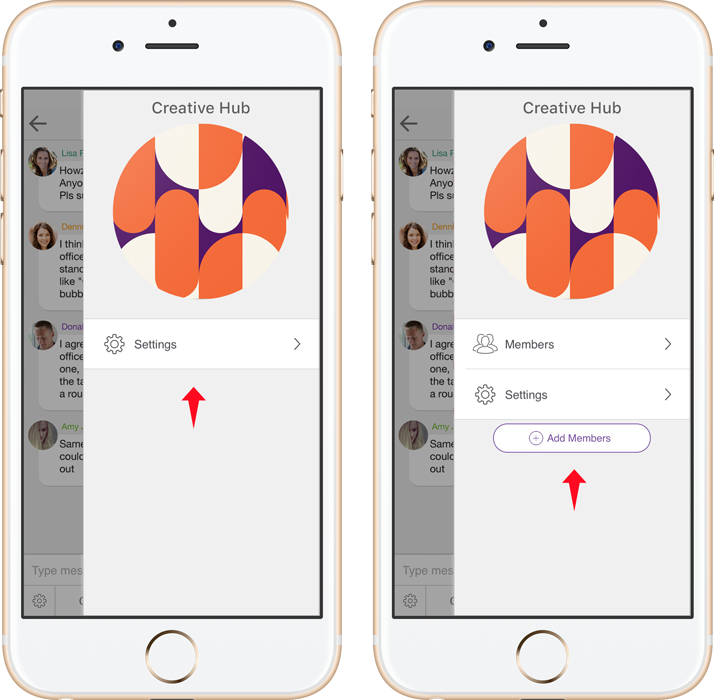 Copy/Paste From Clipboard Directly Into Chat: You can now copy an image in your clipboard and directly past it in the chat box and share it with your message. 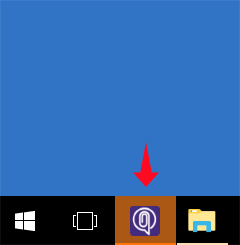 Notification Toaster Improvements: You have a new setting where you can decide to keep your toaster open until you click on it / close it. 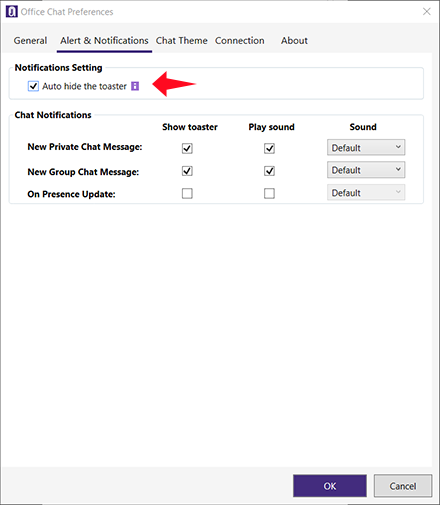 Clicking on the chat toaster now opens the chat window. 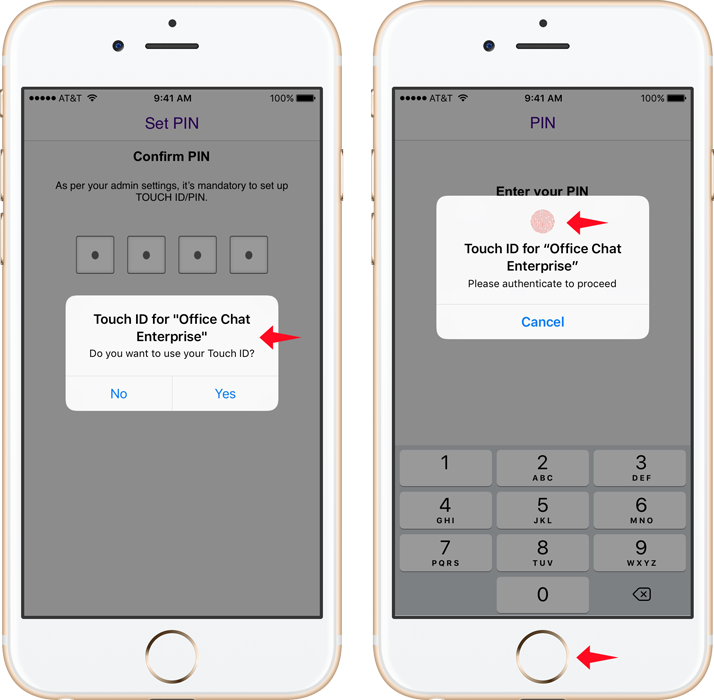 Touch ID Support: Office Chat mobile apps now support setting up Touch ID to access it. While setting up the Touch ID the user would be required to setup the PIN as well. 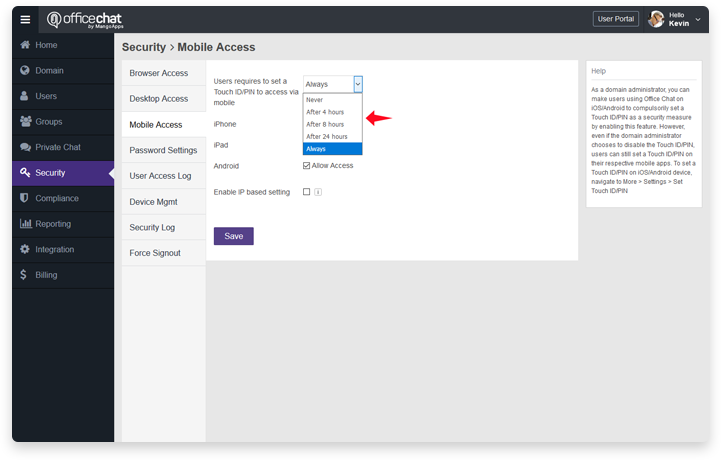 If the domain admin has made touch id/pin required then users would be required to set it up on the next launch of the app (if they haven’t already). If the admin hasn’t made touch id/pin required then the users still have the option to set it up if they want to. 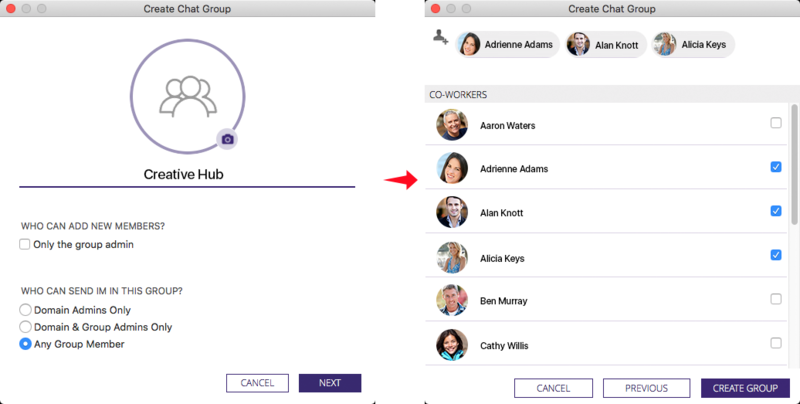 Support For Multiple Group Admins: Group or domain admins can now make any member of the group, a group admin from the mobile app. 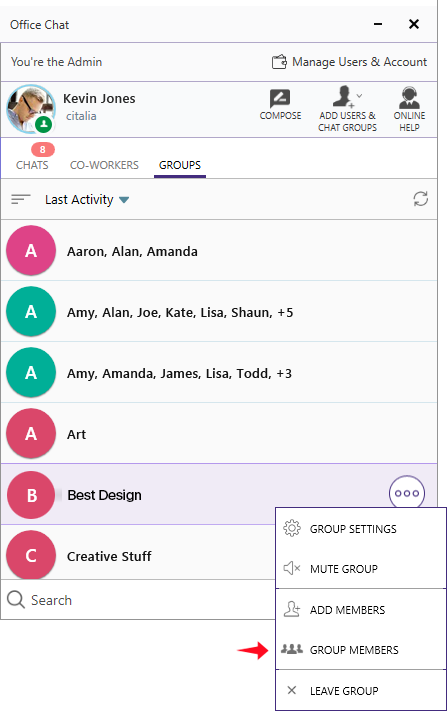 This enhancement now enables a group to have multiple group admins. A group admin can also remove admin privileges from a group member as long as at-least 1 member remains a group admin. 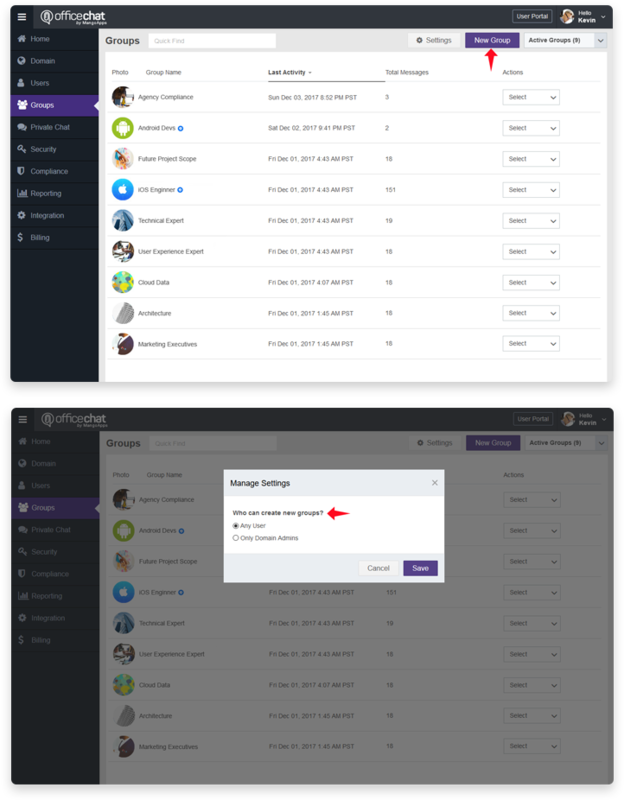 Support for Who Can Add / View Group Members: Only group admins or everyone in the group can add members or view the member list depending on what the group admin has set (from the admin portal). 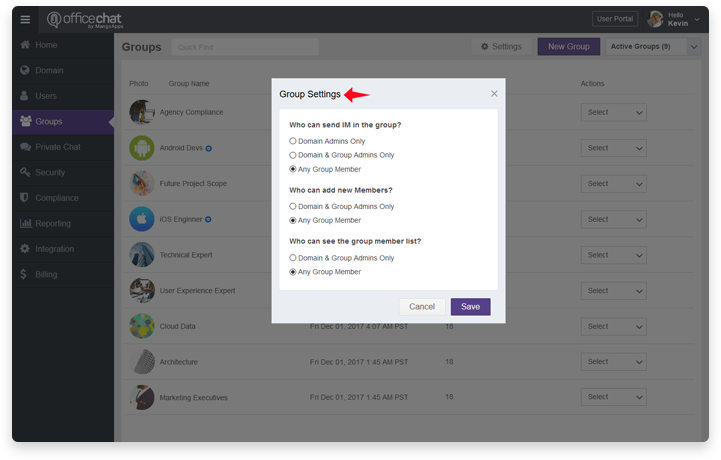 Manage Membership & Roles In a Group: Group admins can now manage group members from the groups tab on user portal. 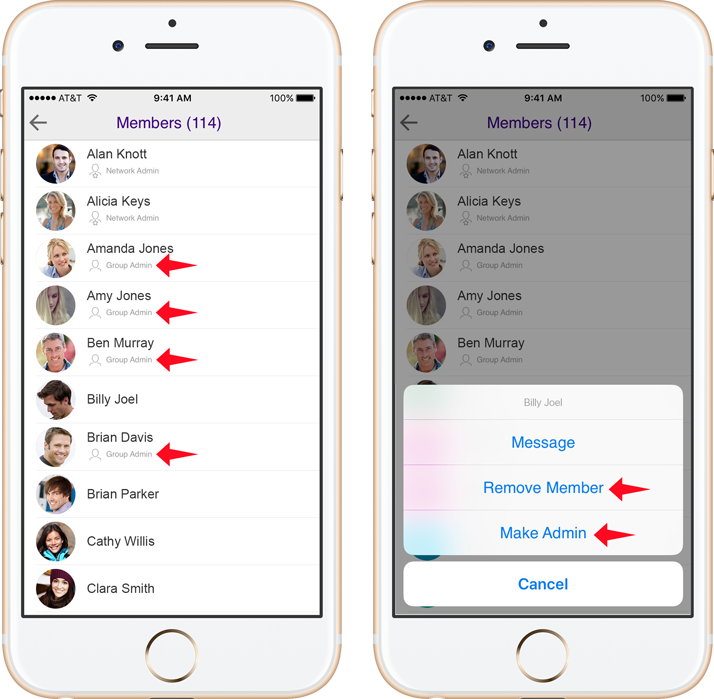 This includes adding new members and adding/removing group admin privileges. No users shown in co-workers tab: Until there are minimum of 2 users in your domain, the co-workers tab did not show any user. This issue has now been fixed. Attaching images from gallery: In iOS 11 & above some images from the gallery were not getting attached. This issue has been fixed in this release.